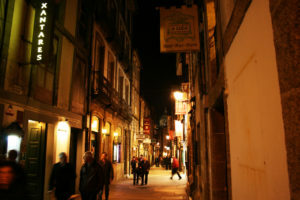 The French Way is the route that has received more affluence of people since the pilgrimage to Santiago came up to be. It is the itinerary most mentioned in all historical sources, the best signposted and the one that is endowed with more services to the pilgrim. With this presentation, we encourage you to know a little more about this millenary route and we help you plan your pilgrimage along the French Way. 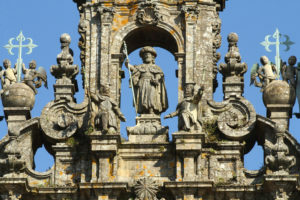 The so-called French Way is the Jacobean route par excellence and, undoubtedly, the most traveled at all times in the history of the pilgrimage to Santiago. Several texts from the XI century speak of it and it is already described as a “mass phenomenon” in a text written by a monk in the 12th century, known today as the “Codex Calixtino” and considered the first tourist guide of history. 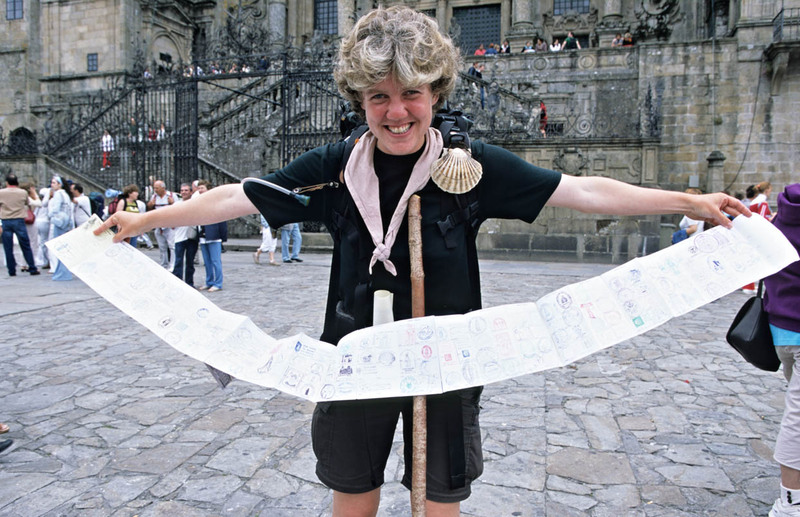 Pilgrimage means going from an initial point to, in this case, Santiago de Compostela. It really does not matter which road you take as long as you get to the destination point, but the large number of people who went to the same place, since the Middle Ages, caused a series of infrastructures to arise to attend their necessities. The location of these infrastructures, the protection that some paths received by orders of knights who took care of the pilgrims and the morphology of the land ended up defining the different “roads” that today almost everyone continue to peregrinate. The French Way and the towns by which it passes began to be defined from the moment in which the discovery of the relics of the apostle in the 9th century took place. It was a great help for the Crown to assure the territory that was recovered from the Arabs, sending Christian groups to populate the empty territories. That is why they created new villas and made the Way pass through them. The kings also gave the Order of Cluny support to create a whole network of monasteries throughout northern Spain. 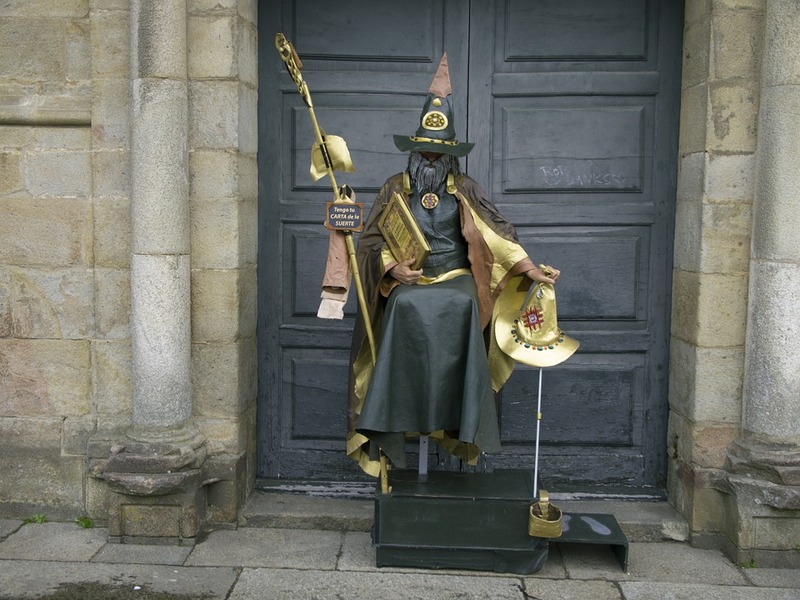 The Cluniac emerged in the 10th century in France and were a significant existence in Spain because of the large number of hospitals and shelters that they made available to the pilgrims. Moreover, when the pilgrimage started, one of the main problems of the travelers was undoubtedly security. For that reason, the specification of a marked way to peregrinate was important, since it allowed giving a greater protection to the pilgrims. This road was already fixed in the 11th century, mainly thanks to kings like Sancho III the Great or Alfonso VI. The news of the discovery of the relics of Santiago began to spread throughout Europe in the 9th and 10th centuries. France, because of its border position, became the main place of passage for entry into the Iberian Peninsula. 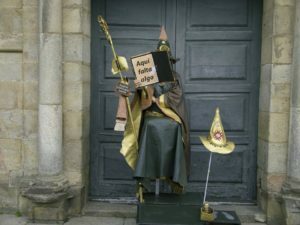 Charlemagne’s court in the 10th century also served as an advertising spot for the pilgrimage to Santiago, since if the north of the peninsula were to become Christian again they would not have to worry about the pressure that the Arabs made in their border with the Pyrenees. 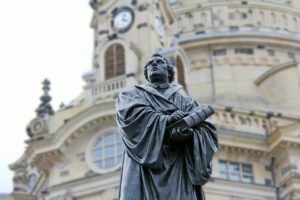 The court went on to say that it was Charlemagne himself who had discovered the remains of the apostle. During the Middle Ages all those pilgrims who came through France were called francs, whether or not they came from Gaul territory (although most were). We have to take into account that today we can go home by train when we reach our destination, but at that time the people had to retrace their steps. For all the difficulties involved in the return, many francs remained in the Iberian peninsula. In addition, from the 11th to the 13th century, kings gave many municipal charters to the Franks to settle in unpopulated places, causing the French Way to pass through these new locations. Municipal charters are real orders that grant tax or commercial advantages to a social group in exchange for being settled in a certain place. 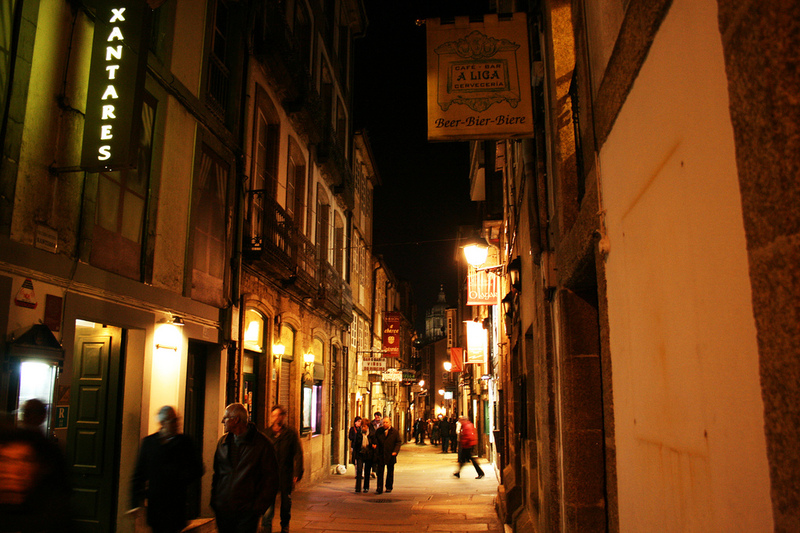 Even today we can find reminiscences of all this, as for example in the “Franco” neighborhood in Santiago de Compostela, named for its former residents, or in all the towns that grew along the French Way thanks to the services that they gave to the pilgrims. Places like Puente la Reina have their origin in a nucleus that is increasing in a linear way having the pilgrimage route in the middle. We are sure that in the 12th century the routes of the French Way were fixed, since the Codex Calixtino is a conclusive evidence of that. The codex dates back to AD 1140 and is named like this because it begins with a letter from Pope Calixto II, addressed to the archbishop of Santiago (Diego Gelmírez) and to the monks of Cluny. The Codex Calixtinus is of great interest because besides including stories about miracles and the apostle, it also shows a book attributed to a French monk called Aymeric Picaud. 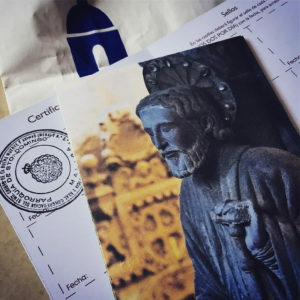 This clergyman describes with great thoroughness the routes to Santiago de Compostela, as well as the sanctuaries that can be found in its ways; and also gives advice and anecdotes that could prove useful for pilgrims. 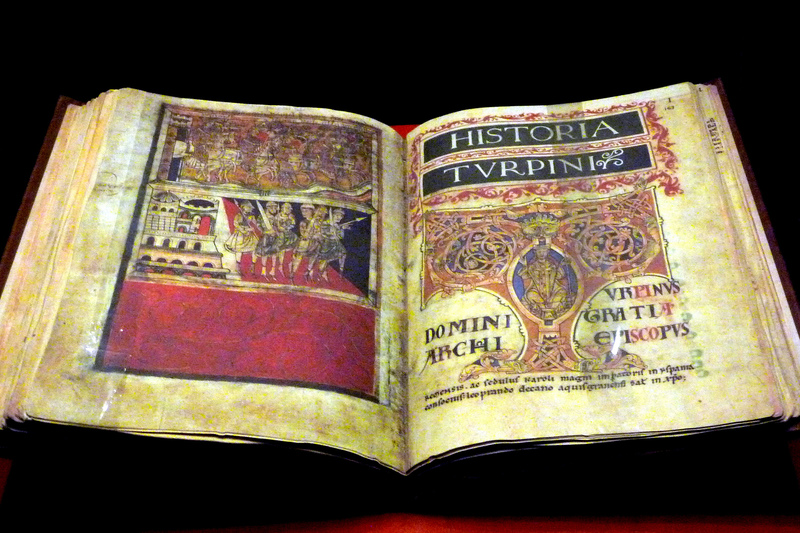 It is what today we would call a kind of tourist guide and, because of its antiquity, the codex is invaluable. 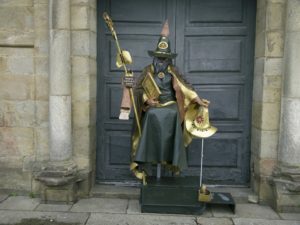 Unfortunately, it became known in recent years for its theft in the hands of a cathedral worker in 2011, although it was found and returned to his place in 2012. 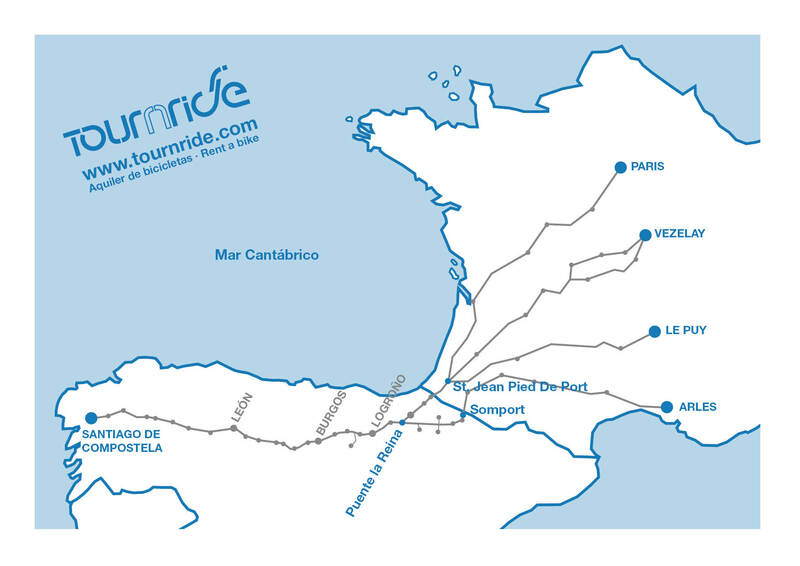 In his guide Aymeric describes the French Way as a mass itinerary, with thousands of people going towards Compostela. This splendor began to decay clearly in the sixteenth century, although already in the fourteenth century had been greatly affected by the great plague that ravaged Europe. In addition, also in the S. XVI a series of pirate attacks occurs in Galicia, among them those of Francis Drake. This privateer had already expressed his intention to destroy the cathedral if he had the opportunity. Thus, the archbishop of Santiago, Juan de Sanclemente, decided to hide the relics of the apostle by burying them in the floor of the cathedral’s apse. 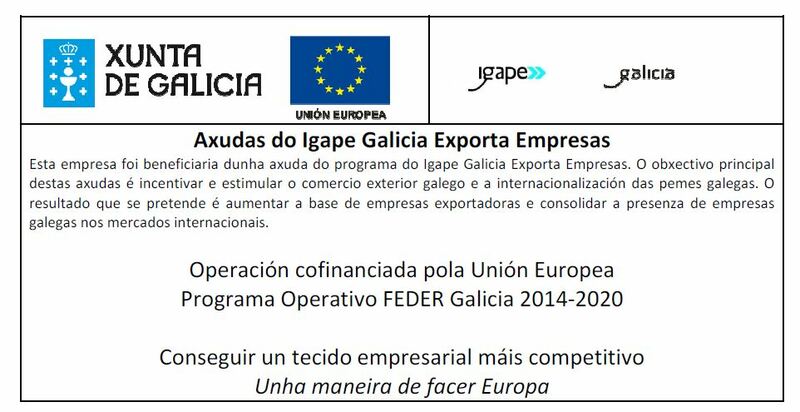 With him died the secret of the location of such precious treasure and it was not until 1879, almost three centuries later, when the Galician historian Lopez Ferreiro discovered the relics again. In the 19th century the pilgrimage lived its largest moment of decadence, also encouraged by the arrival of liberal governments to power, and this new discovery together with the papal declaration of authenticity of the relics five years later, contributed to give a push to the pilgrimage and the French Way. This push was stopped by the state of total war that Europe suffered during the first half of the 20th century. But, in the postwar period, the French Way returned to welcome pilgrims who sought to recover in their paths the cultural unity of a Europe that had broken up due to internal fights. 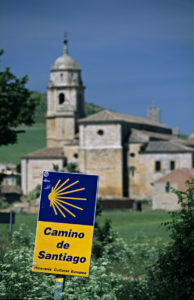 Associations began to emerge in relation to the Camino and the French Way is signposted properly. Initially, this effort to energize the Way was carried out by people who, on an individual basis, decided to try to promote the pilgrimage and help all those who decided to undertake it. 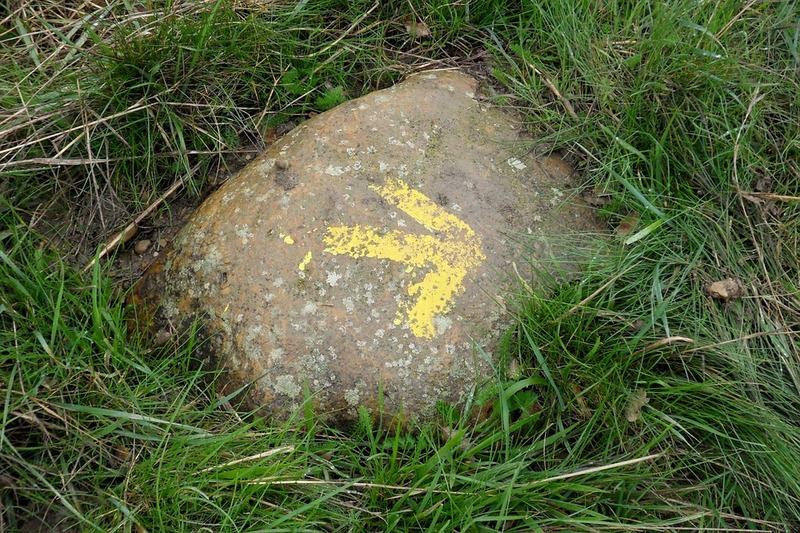 The French Way was the first to be properly signposted and this is thanks to a parish priest of O Cebreiro named Elías Valiña, who was the creator of the yellow arrow symbol. 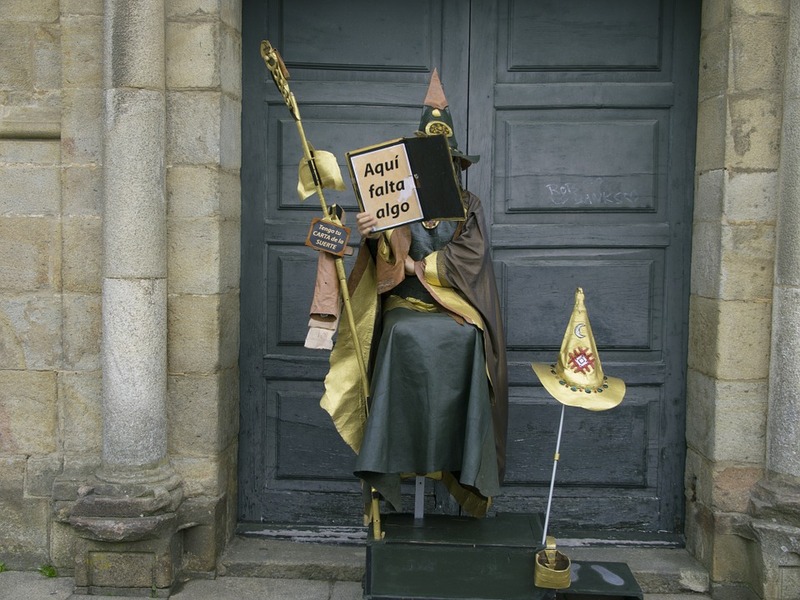 Elías decided to rehabilitate the hospital of pilgrims in his parish and, as the pilgrims told him that they were lost on the way from France, in 1984 he bought the surplus paint to mark the roads and with a carriage and two horses he went from Roncesvalles to Santiago. It marked with an arrow all the places susceptible to create confusion for the pilgrims. Since then, that symbol of signaling, along with the scallop, has been maintained. 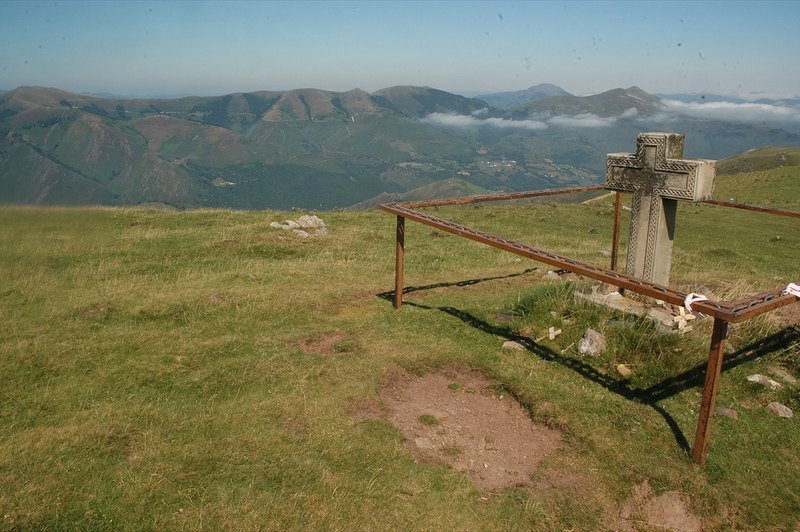 In 1991, these institutional efforts were supplemented by the creation of the Xacobeo Plan by the Xunta de Galicia, an institution designed to investigate the Camino and strengthen the pilgrimage. 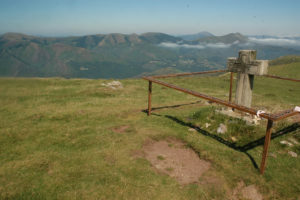 Since then, the millenary route of the French Way has not stopped receiving more and more pilgrims, surpassing each year the record of pilgrims of the previous one. The routes that the monk Aymeric Picaud defined in the 12th century for the French Way continue being the same nowadays. In his “guide” of 1140 the cleric defined four routes, which from Paris, Vezelay, Le Puy and Arles connected with the rest of the continent. The first three joined at Saint Jean Pied de Port and the last entered the border at Somport. 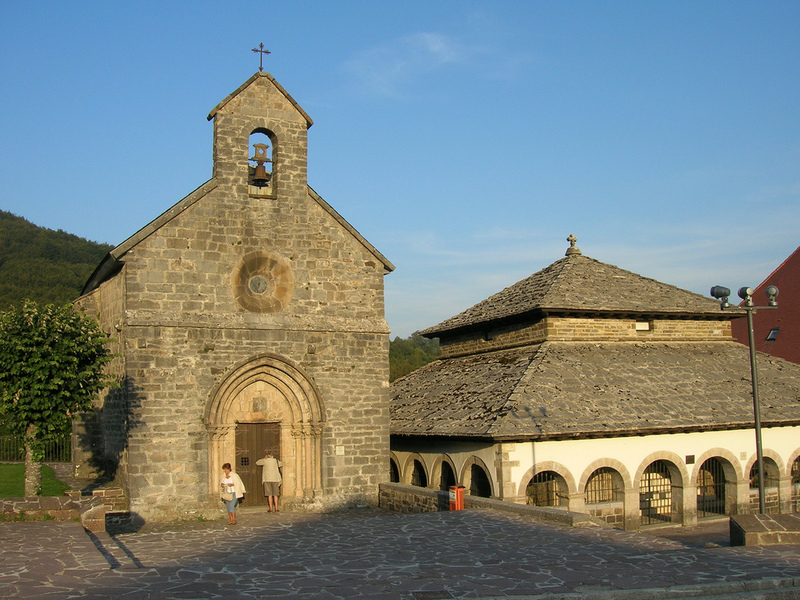 Today, many people opt to start their journey in Saint Jean, climbing the hill that joins this small town with Roncesvalles in the first stage. 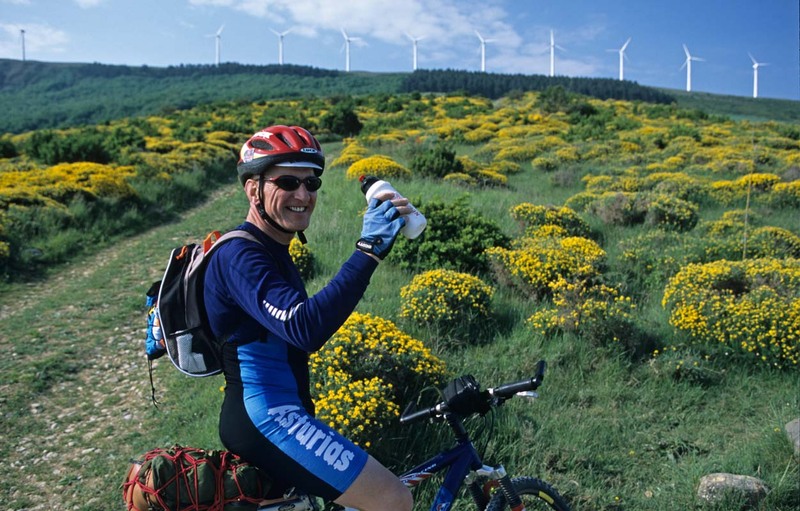 It is a tough stage but it rewards pilgrims with spectacular views and scenery. 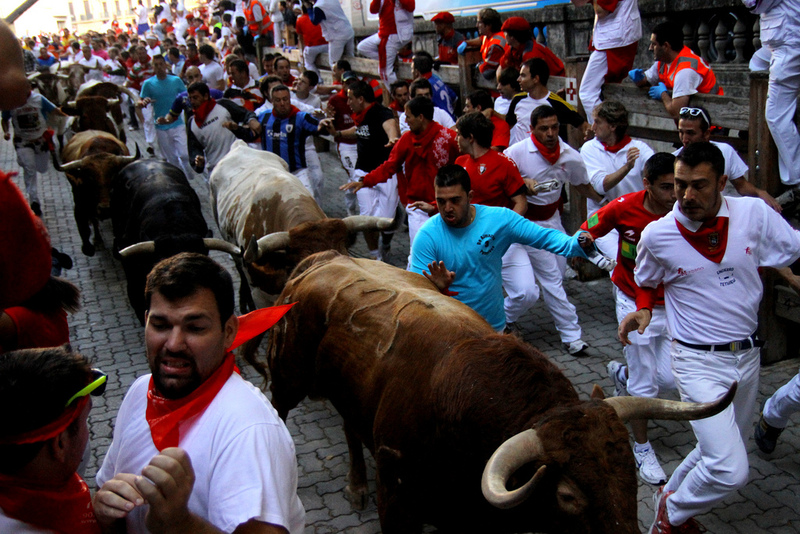 From Roncesvalles, it crosses Navarra through Pamplona until it reaches the vicinity of Puente la Reina. 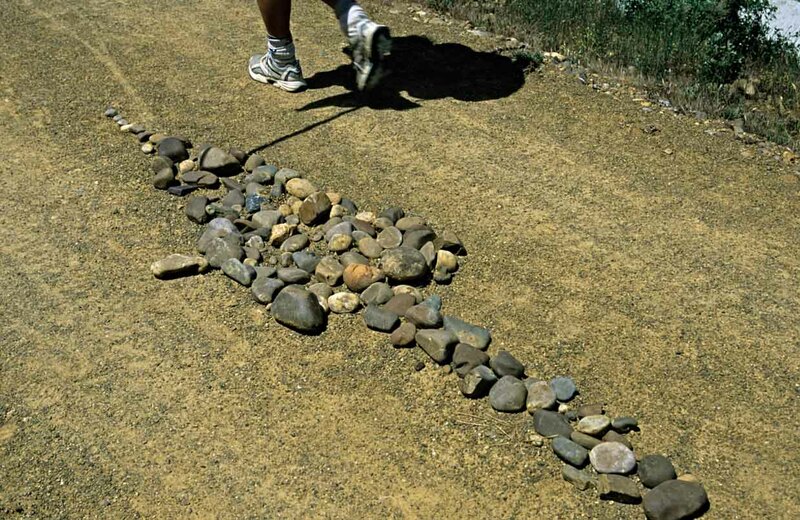 If we start in Somport we will cross what is known as the Aragonese Way until near Puente la Reina, where the pilgrims of both routes coincide in the hermitage of San Salvador. 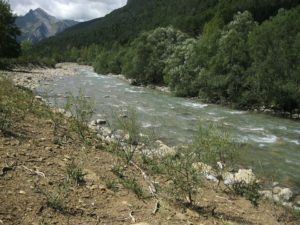 The Aragonese itinerary follows, for the most part, the route of the Aragón River and in it we will find landscapes of singular beauty, across mountains, forests and prairies. 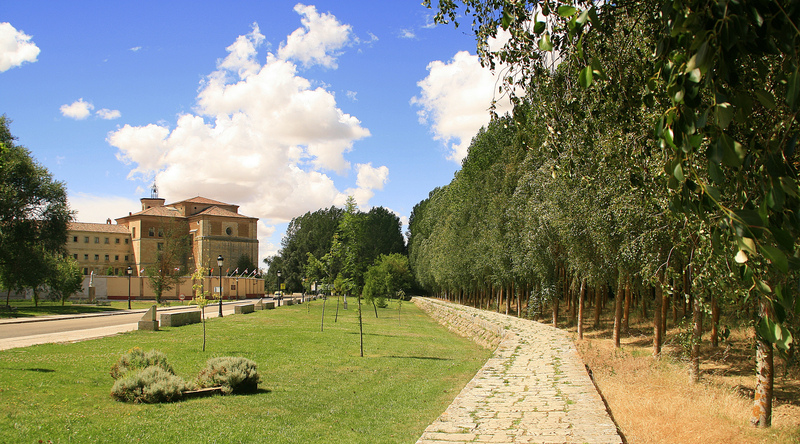 We will also visit places of great patrimonial value, like the cathedral of Jaca or the monastery of Leyre. It is necessary to take into account that the Aragonese Way is harder and of greater technical difficulty to peregrinate by bicycle, especially in the months of winter. Therefore, if it is the first time you feel like coming to Santiago, we advise you to choose the option of starting in Saint Jean or Roncesvalles. If you want to do it from Somport, depending on the weather you may have to take the road in some sections. As for the number of bicycle stages both from Somport and from Saint Jean Pied de Port it takes, in general, about three days to pass through Puente la Reina. If we start at Somport we may want to add one more step to make the journey more relaxed. In general, we pedal an average of 15 days from either of the two starting points. In kilometers, we will cross 785 from Saint Jean de Port and 820 from Somport. 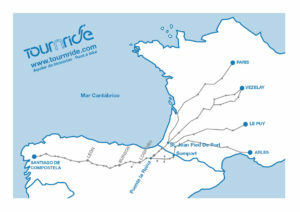 From Tournride we want to emphasize that, to enjoy the way, we should never take the pilgrimage as a race. There are people who make the French Way in 12 days and others who need 19 and, of course, the effort made is always just as commendable and everyone should feel proud of himself. What we do recommend is that you try to organize the stages and the time to not encounter obligations that make you leave the way halfway. 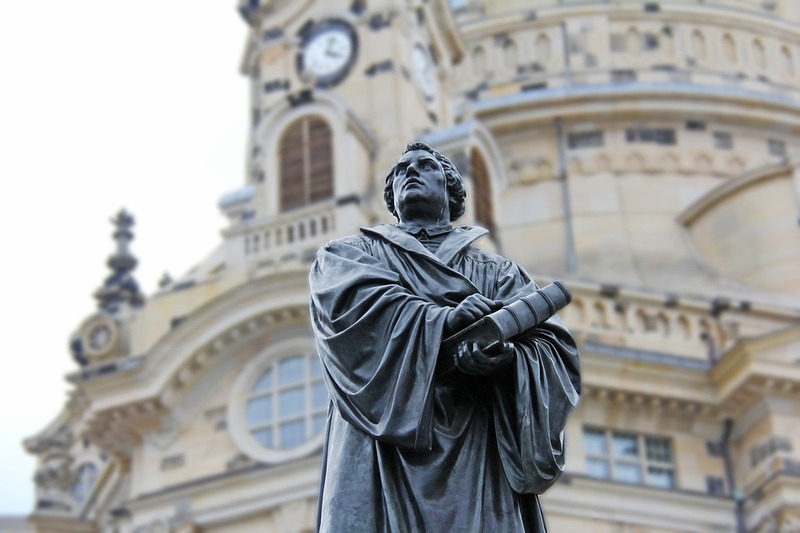 Experience says that it is always much more comforting to reach the cathedral than to carry out intermediate stages without reaching the goal. 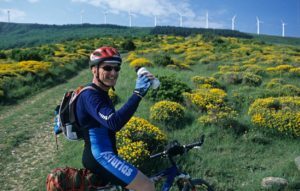 In addition, to obtain the Saint James’ Way accreditation, the “Compostella”, you must made at least the last 200 kilometers by bicycle or 100 km on foot, and you have to get to Santiago. Of course, each one can chose their own timing or speed. The French Way is well signposted and has many intermediate populations in which we will find the services that we need, so in each stage we will have a lot of flexibility to go and decide how far we want to go. On average, in the French Way there is a population every less than 4 km, most with some hostel. Many of them have enclosed places to store bicycles. Therefore, every day we will have several places that we can choose as end of stage. In addition to accommodation, in many of the towns we will find shops where we can buy things we need. Keep this in mind when filling your saddlebags because everything you put in at the beginning will accompany you as extra weight! 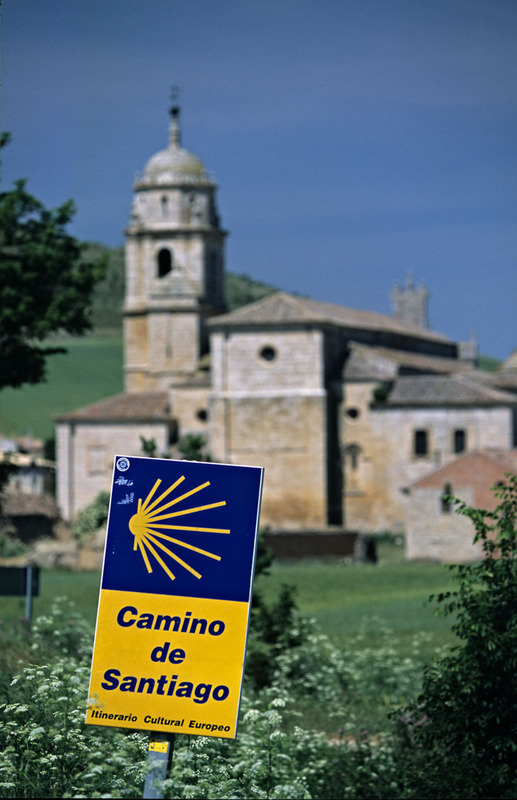 We have designed a plan of the Camino Francés for pilgrims on bicycle trying to make it suitable for most cyclists. Therefore, based on each profile of the terrain and its difficulty, the stages may have more or less kilometers. We have planned 14-day timing, traveling 26 kilometers a day in the shortest stage and 96 in the longest. The average will be about 58 km / day. Always remember that this is a suggestion, you can join or further divide the stages. We will periodically publish information about each stage. You will be able to know the general profile of the terrain and what to see and do in that itinerary. We will also give practical advice on accommodation and access to services. Since the discovery of the relics of the apostle in the 9th century, the paths of the French Way have been filled with history carved in stone. 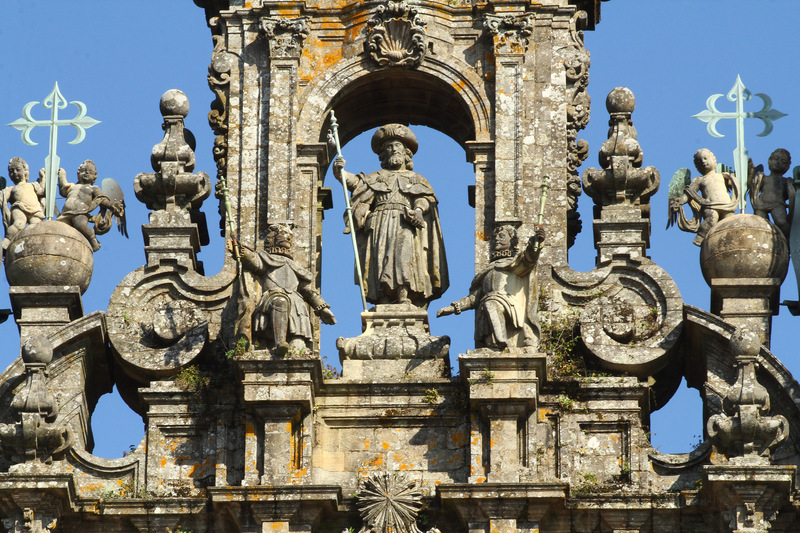 All these monuments today continue to receive visitors who decide to undertake the pilgrimage to Santiago and have become for themselves a reason to dedicate time and effort to the road. In addition to this material heritage, the French Way has been in itself a generating element of culture. Through their routes traveled innovations, discoveries and ideas in the minds of those who passed them. Thanks to this, people from all walks of life and places in Europe were coming into contact and, for the first time in history, what we today can be understood as the “European identity” that, beyond economic explanations, gives Sense to our union. It is also because of the above that we can find for the first time an artistic style that extends beyond the local, encompassing different places of Europe: the Romanesque. For all this the French Way was declared in 1987 “First European Cultural Itinerary”, in 1993 “World Cultural and National Heritage” by UNESCO and in 2004 they awarded the “Prince of Asturias Award to Concord”. 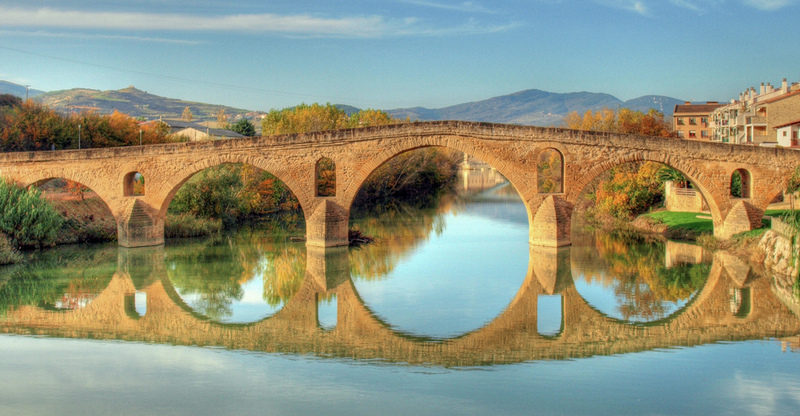 Besides the heritage that is specifically related to the road, we can see everything that Spain can offer us. The Iberian Peninsula is a territory that has been inhabited since ancient times eand the French Way allows us to visit places representative of many historical moments. From the archaeological remains of our predecessor hominids in the Burgos sierra of Atapuerca to the great contemporary constructions of cities like Burgos, León, Logroño or Astorga; Passing through different Roman, Visigothic and medieval remains. The architectural and artistic religious heritage of cathedrals like Jaca or monasteries like the one of Miraflores of Burgos will be mixed with rest of civil architecture thought to facilitate the way of the pilgrims: medieval bridges like the one of Bridge the Queen or Templar castles like the one of Ponferrada Served to ease the way and protect the walkers. We will also find a multitude of pilgrim hospitals such as the impressive San Marcos hostel in León and we can satisfy our thirst in the different fountains built to help travelers. We will see them of different types, from the Gothic source of the Moors in Monjardín to the one of Bodegas Iratxe, that mana wine instead of water like homage to those medieval pilgrims whose base sustenance was the bread and the red one. In addition to all the material patrimony already described, the French Way will cross a large number of towns in the north of Spain. This gives us the opportunity to immerse ourselves in its culture and traditions and, if we are lucky, to attend some of its popular festivals. 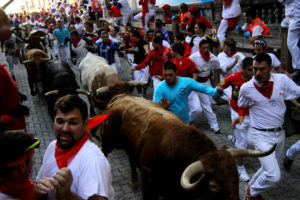 We can match the famous San Fermines in Pamplona or even enter Santiago in full celebration of the Apostle. An added element to the experience of the road is to be able to taste the Spanish gastronomy. After hard days of pedaling we will enjoy as never of what many say is the best food in the world. You can try the typical sausages, such as chorizo and cecina; As well as the great variety of cheeses elaborated in traditional way. 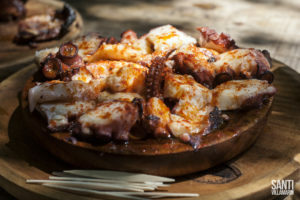 Popular dishes such as the cooked maragato, the Galician broth, the octopus, to the fair, etc., will help us to recover the strength to face the day the next day. In addition to food, we can also learn a very important element of Spanish culture: wine culture. The French Way runs through territories that are part of different denominations of origin like La Rioja, Bierzo or Ribeira Sacra and passes near others like Ribera del Duero or Toro. We can go touring Spain with our palate. 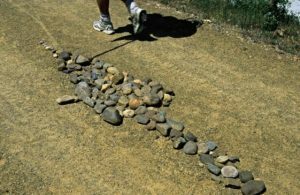 Following the paths of the French Way will be part of a living history and in permanent transformation. It is the Way with capital letters and par excellence and, since the 9th century, has welcomed all the people who have wanted to leave their footprints in it. In addition, its good signage and quality of services facilitate its cycle route.Do you dare to become a franc and pedal with us?